Freshly cooked pastry, sizzling beef, garlic, oregano, cayenne. The smells from a hole-in-the-wall salteñería wafted after me down the street, caught me up and marched me back. I knew about four words of Spanish, then, and didn’t really know what I was ordering (beef), but I sensed it would be good. Salteñas are pastries stuffed with meat and vegetables in a mildly spiced broth set with gelatine. When they are baked in the oven, the gelatine melts as the pastry crisps, so the filling stays moist and the casing stays dry. The broth overwhelmed the serviette after the first few bites and started to trickle through my fingers, but the explosion of flavours made me too happy to care. It was the middle of the morning of a glorious day. 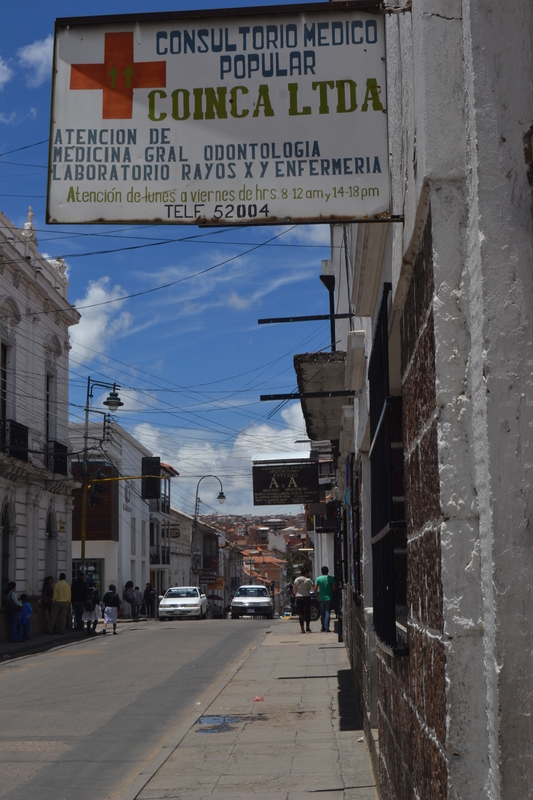 The sun reflected off the uniform white of the colonial buildings. Only turrets and bell towers disrupted the line of terracotta roofs. Only mountains looked down on the cathedral. 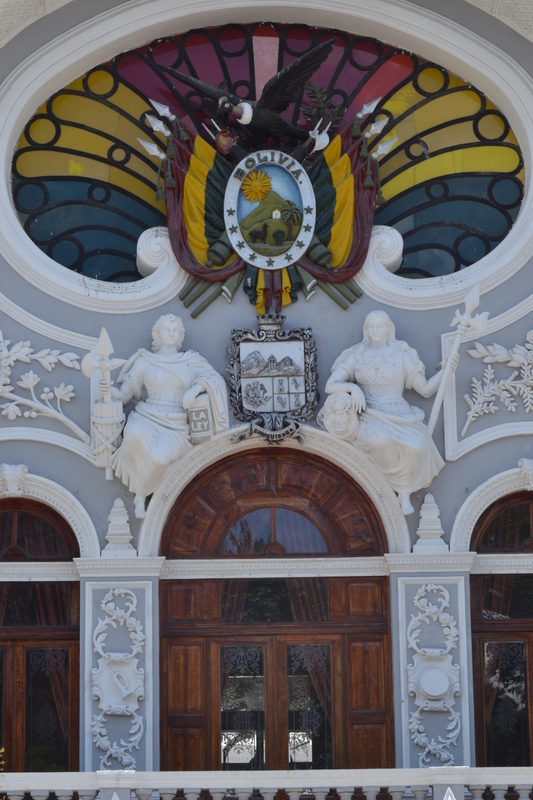 It was much as the Spaniards would have seen it when they took a last look as they left in the 1820’s; but the flags which now flutter from every tenth building are Bolivia’s red, yellow and green. 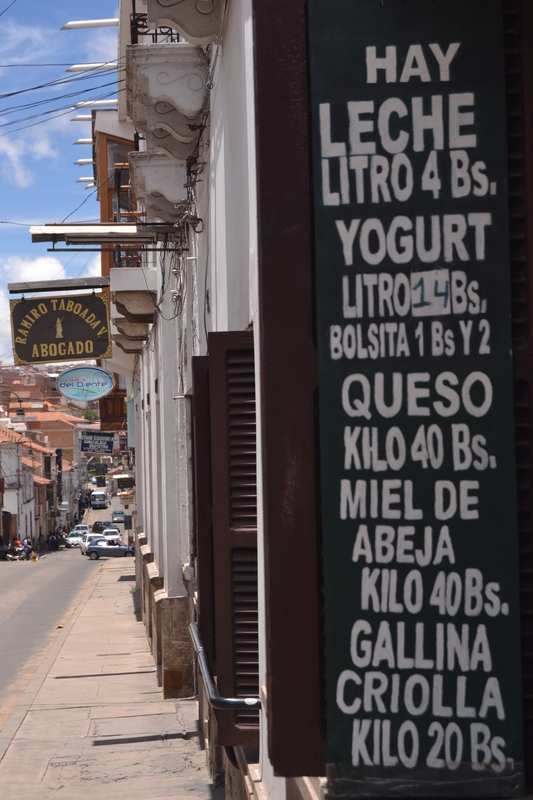 The government has sat in La Paz for more than a century, but Sucre is still the nominal capital, even if it nowadays feels as provincial as Bath. Old men sit on benches in the shade of the palm trees on Plaza 25 de Mayo. Younger men kneel and shine shoes. Drivers stop when the policewoman blows her whistle. No one seems to drop litter or tag walls. It even feels safe late at night. It is nothing like La Paz.